Mother And Son Playing On The Beach At The Sunset Time. People Having Fun Outdoors. Concept Of Happy Vacation And Friendly Family. Lizenzfreie Fotos, Bilder Und Stock Fotografie. Image 116774183. 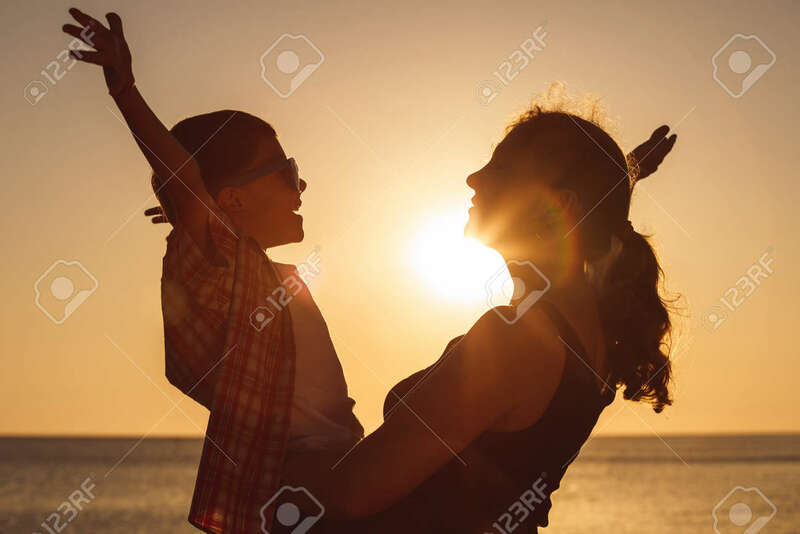 Standard-Bild - Mother and son playing on the beach at the sunset time. People having fun outdoors. Concept of happy vacation and friendly family. Mother and son playing on the beach at the sunset time. People having fun outdoors. Concept of happy vacation and friendly family.